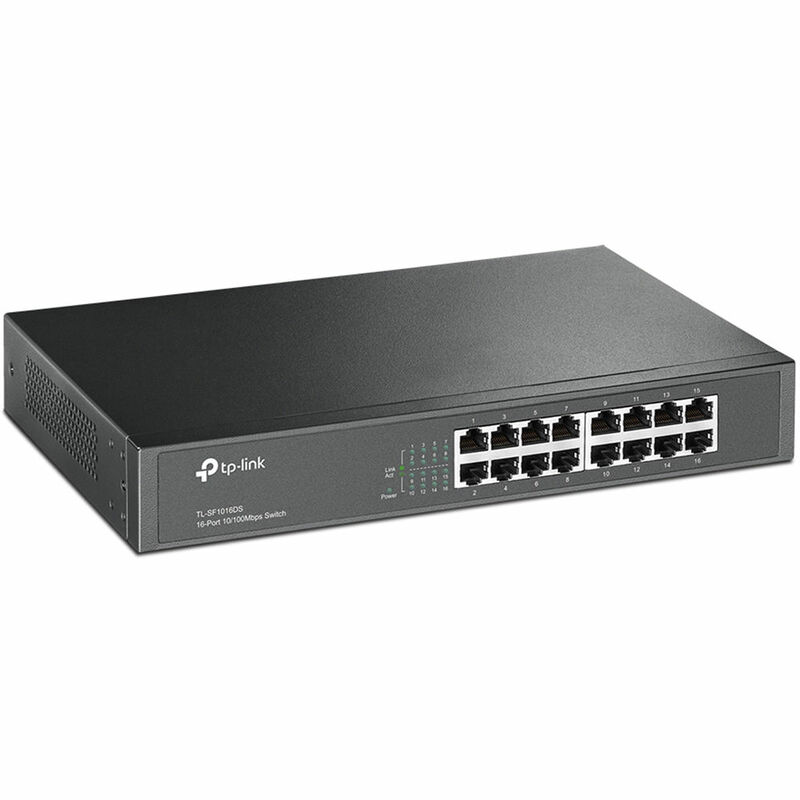 Boost the switching capacity in your small business with the 16-Port 10/100 Mb/s Desktop/Rackmount Switch from TP-Link. Capable of up to 3.2 Gb/s total switching capacity and boasting a forwarding rate up to 2.38 Mpps, this switch is equipped with 16 Fast Ethernet ports, and it comes housed in a 13" steel case that's suitable for rack-mounting or desktop use. Energy-efficient technology helps the plug-and-play switch limit its power consumption by up to 75%. The rackmount-size steel case design, combined with a safety-certified internal power supply, make the switch a robust, cost-effective product for an environment of 16 or fewer users. Featuring non-blocking switching architecture, the switch forwards and filters packets at full wire-speed for maximum throughput. IEEE 802.3x flow control for full-duplex mode and backpressure for half-duplex mode helps to alleviate traffic congestion.